Next to Google, there’s probably no more important site for small businesses than Yelp. Yet perhaps no other site is as poorly understood. 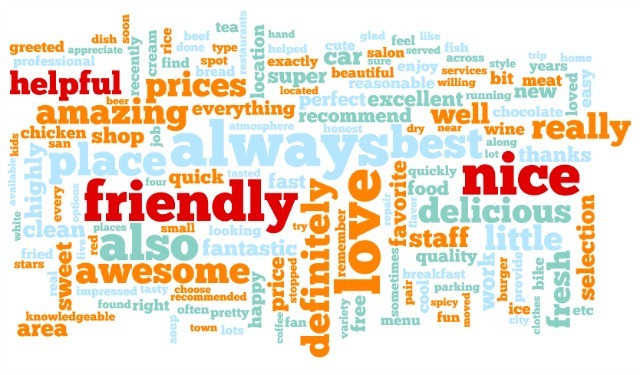 For instance, is it a good idea to encourage your customers to give you good reviews on the site? Does Yelp pay for reviews? How do you go about countering bad reviews? 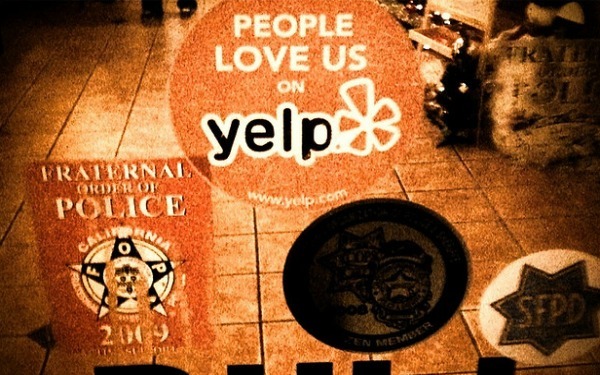 Since Yelp is such a juggernaut, it’s important to get the facts straight. With that in mind, take a look at these 10 things you may not have known about the service. You might think that in 2012, most people would be accessing Yelp from their smartphones, but that’s not the case. Sixty percent of searches are from desktops, and the company’s mobile apps are used by about 7 million people. Yelp.com gets 78 million visitors per month. However, like other social media companies, the trend is definitely favoring mobile. The Yelp sticker pictured above is a genuine accolade designed to be akin to a high Zagat rating. That means that you can’t order a “People Love Us on Yelp” decal for love or money. Instead, the company doles them out twice a year to companies that get overall high ratings. Though Yelp discourages merchants from bugging customers to write reviews, it is a proponent of more subtle means of persuasion. For instance, the company provides downloadable signage via a Flickr stream. Holloway also recommends putting a Yelp link in your email signature and on your business card. Though Yelp strives to maintain the purity of its reviews, the company has in the past paid people to write them. CEO Jeremy Stoppelman told The New York Times in 2007 that “there was a time in our earlier days where we experimented with paying for reviews directly in cities outside of San Francisco to help get the ball rolling in our otherwise empty site.” However, the company has not done this for at least four years. Obviously, it seems to pay to be friendly, nice and helpful. A study by Michael Luca, a professor at Harvard Business School, found that there was a correlation between a high Yelp ranking and revenues. Luca just looked at the restaurant industry in Seattle, but his findings were a ringing endorsement for Yelp. Among other things, it found there were far more Yelp restaurant reviews than there were from Zagat or The Seattle Times. If you’re a McDonald’s franchisee, don’t waste any time worrying about your Yelp reviews. According to Luca’s study, Yelp’s effect on chains is “statistically insignificant and close to zero.” Luca also found that when Yelp penetrates a market, “there is a shift in revenue toward independent restaurants.” This is not by design, but based on the fact that reviewing a McDonald’s in St. Louis is a rather absurd exercise since it will likely be very similar to a McDonald’s in Kalamazoo, Mich., or Newark, N.J. If someone trashes your business on Yelp, you don’t have to sit back and take it. In fact, Holloway recommends business owners go on Yelp and dispute. The reviewers can then answer the business owner if need be.